What We Know: Unlike in the comics, the film’s Dr. Hank Pym (Michael Douglas), the genius behind the Ant-Man suit and those famous shrinking Pym particles, will not be portraying the superhero himself. Rather, Pym will recruit a small-time crook named Scott Lang (Paul Rudd), who will become Ant-Man. As to how the two characters initially cross paths, the only thing known to be fact is that Pym hires Lang to do an unknown job for him. Fortunately, the wait is nearly over as the film is just one month away from release! 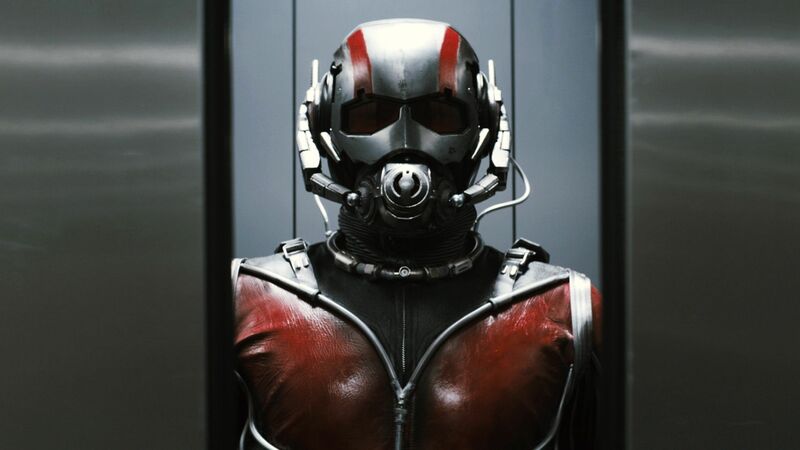 Marvel’s Ant-Man hits theaters on July 17, 2015! What We’re Excited About: We’re very excited about speculation surrounding the Wasp’s role in the film as Hope van Dyne has been confirmed to be Hank Pym’s daughter in the film. Portrayed by Evangeline Lily, it is currently unknown whether or not Hope will become the Marvel superhero Wasp, however, her new hairstyle is quite suspicious. We’ll just have to wait and see for that one! We’re also, of course, very excited to see actor Corey Stoll’s performance as the infamous Darren Cross, a.k.a. the supervillain Yellow Jacket! What We Know: The Fantastic Four reboot already sounds like a hit to us, so we’re very excited about it! Actor Miles Teller has been chosen to portray Reed Richards, a.k.a. Mr. Fantastic, in the upcoming blockbuster and we’re very interested to see how his youthful age plays a role in his character. Joining Teller will be Kate Mara as Sue Storm, a.k.a. The Invisible Woman, Michael B. Jordan as Johnny Storm, a.k.a. The Human Torch, and Jamie Bell as Ben Grimm, a.k.a. The Thing. Very little is currently known about the plot but one thing is for sure. Dr. Doom has been confirmed to be the primary antagonist, and the tyrannical technopath will be portrayed by Toby Kebbell. After being pushed back multiple times, the Fantastic Four is scheduled to be released on August 7, 2015! What We’re Excited About: There have been rumors flying around suggesting that although Dr. Doom will be the main supervillain in the reboot, he could have some backup. There have been reports that Doom’s infamous Doombots, miniature robots that are exact replicas of their creator, are to make their live-action debut in the film. Doom uses his technopathic abilities to control them, and it would be incredible to see them in action against the Fantastic Four in the movie! What We Know: The upcoming Deadpool film has been talked about for years, but now it’s less than a year away! That’s right, the Deadpool movie everyone has been waiting for is being fast-tracked and is scheduled to hit theaters on February 12, 2016! While the details of the plot remain unclear, we do know that actor Ryan Reynolds has been confirmed to take the lead role once again. Although his portrayal of the character in the X-Men Origins: Wolverine film didn’t fare well with fans and critics alike, we’re glad he’s been given another crack at the character and believe that he, along with director Tim Miller, will not disappoint. Additionally, the mutant Angel Dust has been confirmed for the film and she will be portrayed by MMA fighter and Haywire star Gina Carano. This is very exciting news because The Morlocks have never been seen on the big screen and Dust herself should bring adrenaline pumping action to the table! See what we did there? What We’re Excited About: At this point, most of the upcoming Deadpool film is pure speculation, but if anything is to believed, the movie sounds pretty awesome to us. There is, however, one crucial aspect of the movie that is still up in the air. That would be the film’s rating. An R-Rating would definitely be the most appropriate for this character because of how deranged, gruesome, and violent he is, but the studio could make an attempt to bring the rating down to PG-13 to reach a wider audience. That being said, nobody at Fox has confirmed anything about the movie’s rating so don’t start sweating just yet! In other exciting news about the film, mentions of Colossus in the script suggest that he will be a supporting character, however, there is currently no actor for the part but don’t be surprised if an announcement is made soon. Oscar-winning Big Hero 6 actor T.J. Miller has been confirmed for a role in the Deadpool film but we don’t know who he will be playing yet. Miller is rumored to play Weasel, Deadpool’s partner in crime and weapons dealer. That would be the icing on the cake! Similarly, actress Morena Baccarin has been rumored to be the female lead in the film as well as Deadpool’s romantic interest. Baccarin is best known for her roles in The Firefly and Homeland. Last but certainly not least, actor Ed Skrein has also been confirmed for the film but we do not know his official role either. We do, however, know that Skrein will be portraying the central antagonist and speculation suggests that he will be none other than Francis, a.k.a. Ajax. He played a vital part in turning Wade Wilson into the scarred and maniacal Deadpool, so it would not come as a shock if it turned out to be true. Either way, we can’t wait! What We Know: Joe and Anthony Russo return to direct Marvel’s crossover event, Captain America: Civil War, adapted from the classic story by Mark Millar! The movie’s plot will close out Marvel Cinematic Universe’s phase two and should be a jaw dropper. The basic premise of the comic book series will be present in the film as an unknown international incident forces new legislation that requires active superheroes to register with the government. Like any other issue, there are two sides to the coin as some are opposed and others are more than willing to comply. In the comics, Tony Stark (Robert Downey Jr.) becomes the face of the new regulation while Captain America is firmly against it. This inevitably leads to one of the biggest clash-of-the-titans events in history and poses only one question. Whose side are you on? Captain America: Civil War hits theaters on May 6, 2016. What We’re Excited About: The difference in views between Tony Stark and Steve Rogers puts the two in direct conflict with each other and we’re very excited to see how that pressure ignites an all-out battle of the heroes. We also cannot wait to see how the story unfolds and how the Black Panther fits in. 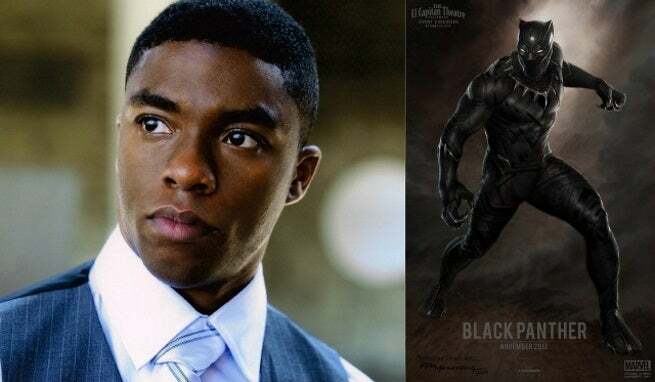 Although Marvel has confirmed that actor Chadwick Boseman will portray the Black Panther and that he will play a vital role in the film, we don’t yet know what his role will consist of and exactly how he will be tied into the plot. The rumor mill suggests that Black Panther will be caught in the middle of the debate, torn between both sides, which would be very interesting. Additionally, the search for the winter soldier continues as the Falcon will return as Cap’s partner in that mission. This could add even more tension between Steve and Tony because it was suggested in the previous film that when Bucky was brainwashed, he actually killed Stark’s parents as part of a Hydra mission. Tony is not going to be happy about that at all, which will give him yet another reason to oppose Captain America. To find out how some of the other characters including Black Widow, War Machine, Vision, Scarlet Witch, Hawkeye, Crossbones, and even Spider-Man will fit into the plot, we’ll just have to wait and see! What We Know: As revealed by the title, the all powerful mutant named Apocalypse will be the main antagonist in the upcoming X-Men blockbuster and it looks incredible. 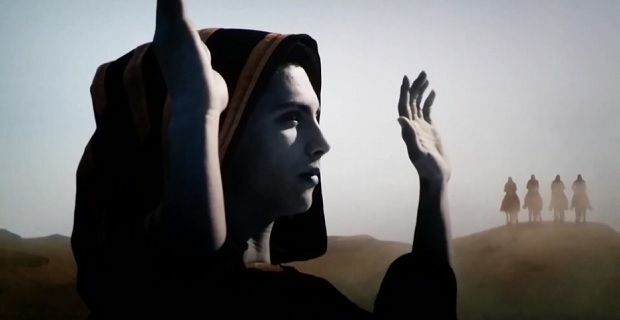 The end credits scene after X-Men: Days of Future Past, revealed that Apocalypse, also known as En Sabah Nur, was once viewed as a god by the ancient Egyptians. Additionally, his name, which translates to “The First One,” also suggests that he was the first mutant on earth and that he has been around for a very long time. His many abilities include flight, super strength, telekinesis, teleportation, invulnerability, and others. Coupled with his plan to take over the mutant world, it sounds like the X-Men are going to have a very tough time with this villain. The film’s events have been confirmed to take place in the year 1983, a decade after those of X-Men: Days of Future Past. It has also been confirmed that members of the original cast as well as actors portraying their younger versions will both be present in the film. Furthermore, Nightcrawler is also set to make an appearance in the film, played by Kodi Smit-McPhee. Certain characters who are beloved members of the X-Men mythos will be making their on-screen debut including Psylocke and Jubilee. Other characters confirmed for the film include Angel, Gambit, and Quicksilver. Oscar Isaac has been confirmed to play the evil mutant in director Bryan Singer’s epic sequel and the film will open on May 27, 2016. What We’re Excited About: As is the case for all of these films, there is a lot to be excited about for X-Men Apocalypse and because quite a bit is known about the ensemble of characters it will feature, we don’t know where to start! Firstly, we cannot wait to see Singer’s take on the story and how each new character will fit into the story. There are so many exciting routes he could take so that should be very interesting. We’re also very excited to see how Gambit’s introduction will ultimately lead into his own solo film in the near future. Apocalypse himself is sure to be a hit as he is arguably the most powerful and toughest villain the X-Men have ever had to face in the comics and movies alike. We don’t know about you, but we’re really looking forward to this film next year! What We Know: The Gambit standalone film we’ve all been waiting for finally has a release date, and it’s not too far off. 2016 is proving to be the year of awesome X-films and the latest is none other than Gambit. Starring as Cajun, also known as Gambit, is Channing Tatum and the actor has revealed some very interesting tidbits about the film. According to Tatum, the movie will most likely be an origin story, however, it will feature a fresh new take on the character. The star also stated that newly announced director Rupert Wyatt, best known for Rise of the Planet of the Apes, is going down a much different path with the character than has ever been seen before, which sounds great to us. He also hinted at the possibility of exciting sequels, which sounds very promising as well. Gambit will be released on October 7, 2016. What We’re Excited About: Although this is not the first time Gambit has appeared on the big-screen, this solo film is proving to be the most promising and most anticipated take on the famed character. Currently, nothing is known about the plot of the film aside from the fact that it will be significantly different from past iterations. 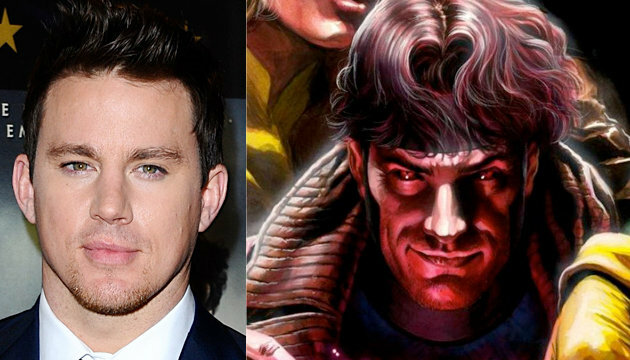 We’re very much looking forward to what Channing Tatum will bring to the table as Gambit next year! What We Know: Unfortunately, aside from the fact that actor Benedict Cumberbatch will star as the mighty sorcerer in Marvel’s upcoming blockbuster, Doctor Strange, not much is known about the film itself. The filmmaker who brought us the horror film Sinister, Scott Derrickson, will helm the project which is scheduled for release on November 4, 2016. What We’re Excited About: Since Marvel’s famed sorcerer has never been seen on the big screen, we’re very excited for his debut next year. Additionally, we love the casting of Benedict Cumberbatch as Doctor Strange and cannot wait to see him in magic-wielding action! What We Know: There are only a few things we know about the upcoming Wolverine 3 film set to debut in 2017. The title is not currently one of those things as the film remains untitled. Along with the undisclosed title, we know nothing about the film’s plot except for a vague bit of information provided by the star, Hugh Jackman. According to the actor, the film will draw concepts from multiple comic book story lines but the plot will focus on only one of them. We’re very much looking forward to this film and we’re sure more details will surface in the coming months. What We’re Excited About: It has been rumored that Patrick Stewart will be joining Jackman in Wolverine 3 but the star neither confirmed nor denied that report. That would be a very interesting move and it would be exciting to see how Stewart would fit into the film’s plot. Whatever happens, we can’t wait for this movie! What We Know: Since Marvel Studios is very, very good at keeping secrets, very little is known about the sequel to 2014’s unexpected smash hit, Guardians of the Galaxy. 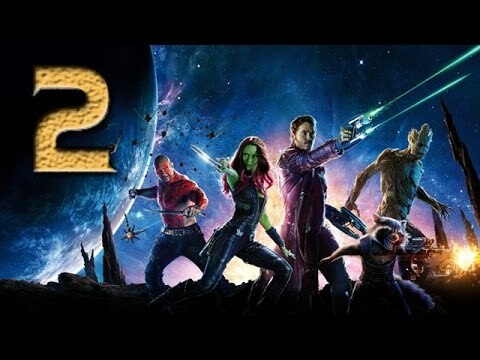 Due to its massive success both with critics and at the box office, it’s no surprise that Marvel wanted director James Gunn back to helm Guardians of the Galaxy 2. We can definitely expect all members of the fun-loving super-team to return including Star-Lord, Drax, Rocket Raccoon, Gamora, and Groot. It is also highly probable that Nebula will return as she still has a bone to pick with Gamora as well as with the rest of the team. The director has also stated that Thanos may or may not play a small role in the film, depending on whether or not it would aid the story. It is likely that Thanos will make an appearance or at least be referenced in the film though he is not expected to play a main role in the plot. Either way, we’re looking forward to another incredible Guardians film which hits theaters on May 5, 2017! What We’re Excited About: Taneleer Tivan, also known as The Collector, made a very shady debut in Thor: The Dark World and it seemed as though he took a neutral stance in Guardians of the Galaxy. It was revealed that he has an interest in collecting the six Infinity Stones, and depending on what side he’s on, that could be ugly for our favorite Marvel heroes. We’re also very excited to find out the true identity of Peter Quill’s father as that was perhaps the biggest cliffhanger in the last film. We know that his father is half alien and that he is part of a powerful and ancient “angel-like” race, which sounds pretty sweet. Director James Gunn actually confirmed that the manhunt for Star-Lord’s father will be a large part of the plot for Guardians 2 but it will not be the only aspect of the movie. We can’t wait to see what Gunn has in store for us in 2017. What We Know: This film may have more questions surrounding it than any other upcoming Marvel film. Jon Watts will be directing the film, and Tom Holland will be starring as a young Peter Parker. We’ll also likely see Spider-Man play some sort of role in the upcoming Captain America: Civil War film. There are so many different directions this reboot could take and hardly anything is known about it as of yet so unfortunately we’ll just have to wait and see for this one. The untitled Spider-Man reboot has been pegged for release on July 28, 2017. What We’re Excited About: Despite knowing very little about the film, we’re very excited to see our friendly neighborhood Spider-Man finally join the Marvel Cinematic Universe and eventually take his rightful place as an Avenger. We just heard the news of Tom Holland playing Spider-Man, and we approve and believe that he’ll do a great job with the character. We just want to know more about the film at this point! What We Know: Thor: Ragnarok is one of the most anticipated films of the Marvel Cinematic Universe’s Phase Three and it will certainly play a crucial role in determining Thor’s fate. The director is still currently up-in-the-air and nothing is known about the film’s plot as of yet. The film does, however, have a release date which is July 28, 2017. What We’re Excited About: We’re very excited to see if the fiery foe known as Surtur will be the film’s primary antagonist, as it would be very interesting to see how he is portrayed. Additionally, however, many expect an ultra-climactic resolution to Loki’s impersonating of Odin, which may even involve one of them dying. It is also quite possible that Thor himself could be killed, or at least for the moment. We will just have to wait and see for this one. What We Know: All of the films in Marvel’s Cinematic Universe have been building up to an epic finale, which will kick off with Avengers: Infinity War Part 1. Marvel has been carefully crafting certain events and details here and there that will ultimately lead to a massive battle between Earth’s Mightiest Heroes and the alien warlord known as Thanos. In fact, this clash is so huge that it will take two movies, the second being Avengers: Infinity War Part 2 which is schedules for release in 2019. As for part 1, the wait ends on May 4, 2018! What We’re Excited About: There are so many things to be excited about for this film but there is also so much we don’t know. As a matter of fact, pretty much nothing has been confirmed other than the usual cast and the fact that Thanos will be the main baddie of the film. That in itself is enough to chew on for now because seeing Thanos in action against Marvel’s super-team is going to be incredible. What We Know: T’Challa, a.k.a Black Panther, is finally on his way to the big screen in Marvel’s Cinematic Universe. The casting of Chadwick Boseman to play the hero has been very well received by fans and we certainly can’t wait to see him in action. It seems, however, that we will not have to wait until the film’s release date of November 3, 2017 to see the Black Panther in action as it has been confirmed that he will appear “in costume” in 2016’s Captain America: Civil War. That is very exciting news as the events that take place during the Captain America sequel will set up a new story for Black Panther’s solo film the following year! What We’re Excited About: Although we don’t yet know the source material for the Black Panther film, that hasn’t stopped us from speculating! Nothing has been confirmed yet and we probably won’t get any concrete information until the release date of the film draws closer, it has been rumored that there will be enough information about T’Challa’s origin story in Civil War to skip over any repetition in his solo film. In addition, the casting of actor Andy Serkis suggests that the main antagonist will be none other than Klaw. It has also been rumored that Klaw will be briefly introduced in Civil War and may even kill T’Chaka, the current Black Panther and T’Challa’s father. For that we’ll just have to wait and see, but the good news is that Civil War is right around the corner! What We Know: Marvel Studio’s first female-led superhero film is scheduled to hit theaters on November 2, 2018! We know that many anxious fans, ourselves included, have been waiting to see Captain Marvel on the big screen for a long time now. It has been churning in the rumor mill for quite some time now, but it was finally confirmed to be happening. This is very big and exciting news! Marvel Studios President Kevin Feige has confirmed that this Ms. Marvel, her original name, will definitely be Carol Danvers, the heroine’s alter-ego in the comics. Additionally, the basic premise of how she got her powers and ultimately transformed into Captain Marvel should be present in the film. This is one of Marvel’s most anticipated upcoming films and we simply can’t wait! What We’re Excited About: We’re very excited to see how Marvel deals with Carol’s origin story and how her various abilities are portrayed on screen. Arguably, the most exciting announcement of a new superhero project is the casting of the lead role, which is as of now unknown for Captain Marvel. We don’t even know of any frontrunners yet, however, a few actresses have voiced their interest in joining Marvel’s Cinematic Universe. A few of those names include Katheryn Winnick, Emily Blunt, Shailene Woodley, and Jessica Chastain. We’re certainly looking forward to that announcement, which could unfortunately take some time as the film’s release date is still three years away. The same is true for the film’s director but all will be revealed in time. We just hope we can wait! What We Know: Marvel’s Inhumans will mark the studio’s 20th film and it seems as though they are going all out to celebrate. The film is officially pegged for release on November 2, 2018 and it is sure to be a great one. Marvel is doing something very different and new with Inhumans because they are bringing a very unique and secret group of remarkable individuals to the big screen. Inhumans fans have waited a long time for this announcement and now that it’s here, we want to know more! Unfortunately, there isn’t really anything known for sure yet. What We’re Excited About: We can expect the storyline in the film to follow the basic premise of the comics, including how an Inhuman’s dormant abilities are awakened by the mysterious Terrigen Mist. In the comics, Inhumans have lived among us in a secret society called Attilan for many centuries and, like mutants, they are born with superpowers, however, while these abilities lie within them, they have to be unleashed by a special vapor called the Terrigen Mist. We can expect the film to use the same history and background. Although there are thousands of Inhumans, the main characters in the film are likely to be the royal family. These individuals include the Black Bolt, Medusa, Crystal, Maximus the Mad, Karnak, Gorgon, Triton, and the canine Lockjaw. Due to such interesting and unique characters, we’re definitely looking forward to the casting… and the final product of course!